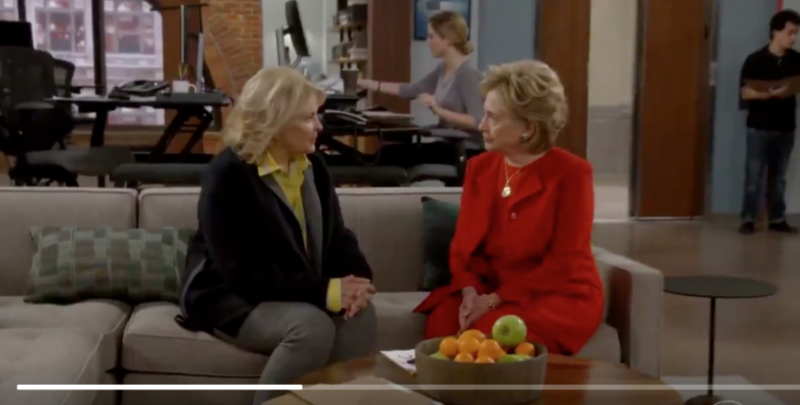 The debut of the reboot of the classic sitcom Murphy Brown Thursday featured a painful cameo of former Democratic presidential nominee Hillary Clinton. In the scene, Murphy Brown (reprised by Candice Bergen) is looking for a secretary for the TV studio where she is a news anchor and her first applicant is none other than Hillary Clinton. “Hello, I’m hear to interview for the secretarial position,” Clinton tells a shocked Brown. “And you have all the requisite skills? Computer? 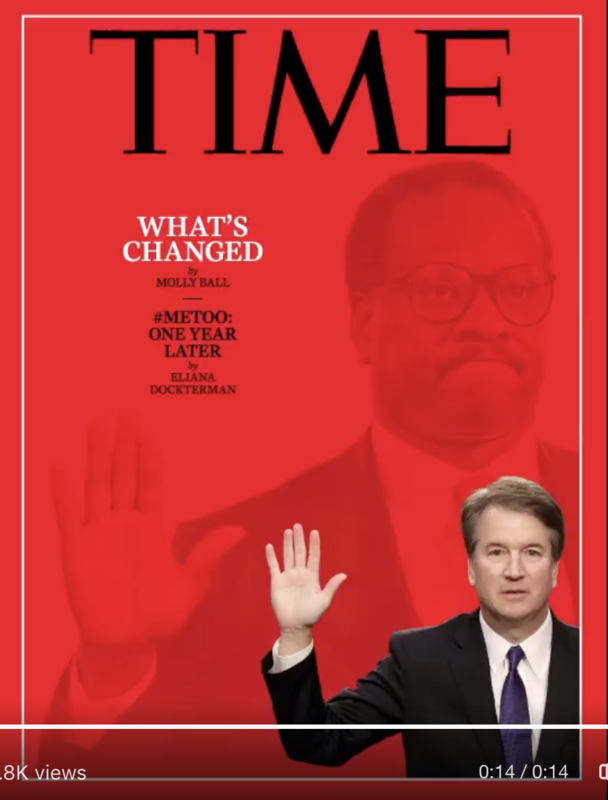 Email?” Brown inquired. “Emails… I do have some experience with emails,” Clinton deadpanned. Brown told Clinton that she was “impressive” and “maybe overqualified” and said she would have to think it over. Clinton gave Brown her business card, before leaving which contained her email address. “Hillary@YouCouldHaveHadMe.com,” Brown read from the business card. If it wasn’t for the laugh track, viewers wouldn’t have known when to laugh as Clinton’s attempt at comedy was as pained as the look in her face.